We are getting ready to go on a family vacation to Florida! 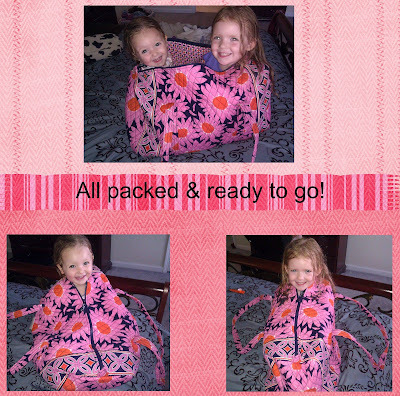 The girls are so excited, that they wanted to JUMP into one of our travel bags! They are going to see the beach for the first time.... and Pooker is excited about seeing Palm Trees! No worries...... this bag is now FILLED with snacks for the 8 hour drive!